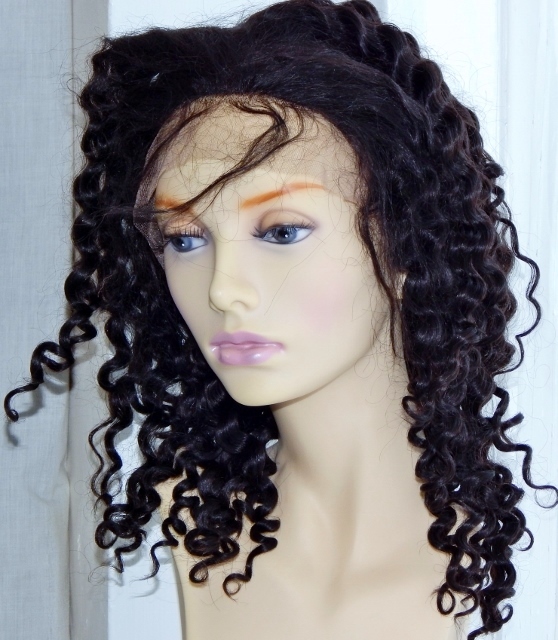 "I've seen pictures on a few websites and the deep wave lace wigs all look like they're curly. Are they actually curly but just given the made up name, deep wave?" Deep wave lace wigs should be wavy and not curly, however the wave pattern does have a sort of s pattern to it so it can look curly (in fact it often does) but technically it's not ringlet or spring type of pattern so therefore isn't considered curly....confusing, we know. 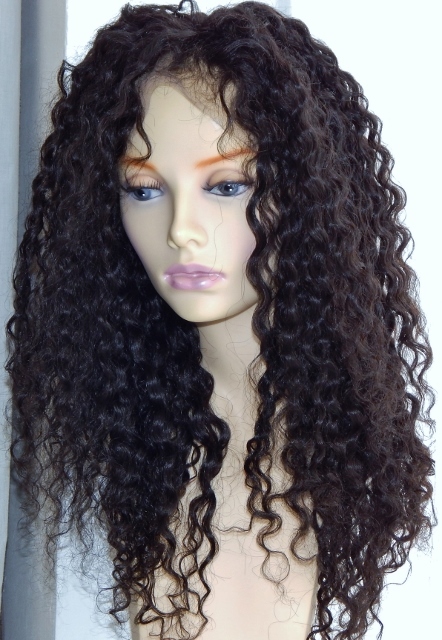 But back to the question du jour, deep wave textured lace wigs should be wavy but not curly. However, they can look curly due to how tightly packed the waves are and because they do delve into the s pattern which is typical of curls. 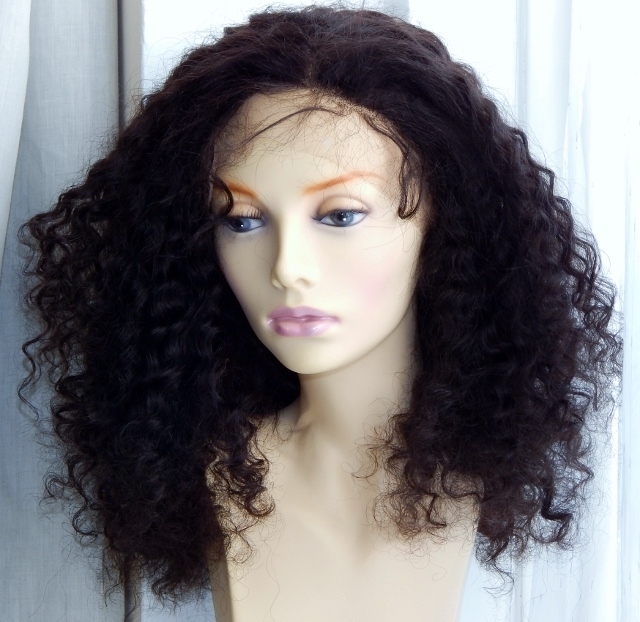 Have a look at the images below to see how our deep wave texture lace wigs look in three stages: box fresh (that's straight out of the box), combed through without washing, then washed. When the hair is combed through (with a large tooth comb) it looks like this. After the hair has been washed (using the upright method) it looks like this, wavy but not curly although some people view the texture as curly looking. As you can see, after washing the deep wave lace wig for the first time, the texture softens and the everyday texture appears. "What should I do to look after my deep wave lace front wig?" The key to caring for human hair lace wigs of any texture is to treat them like you would treat your own growth hair. Even if you have a human hair lace wig, minimise the use of heat styling tools especially straighteners - if you really like straight hair then it's better to buy a straight hair lace wig as well as a wavy hair lace wig, because in the long term, frequent straightening damages wavy and curly hair wigs. Hair essentially requires three things in order to be healthy; protein, moisture and lubricants. Conditioning the hair provides the protein and as protein can dry out the hair (causing it to become brittle), moisture is required. The basic element of moisture is water and the best way to seal in moisture is to use a lubricant - typically oil such as coconut oil (the kind that is hard and white at room temperature - not free flowing) - we cannot stress enough that mineral oils should not be used on your own natural hair or human hair extensions and wigs. For more details you can read all about how to care for deep wave textures here. "How do you wash deep wave lace wigs?" If you have a human hair lace wig, you’ll need to deep condition with a conditioner and to avoid tangling use the upright method of washing described here (using a shower instead of a pump spray).